I can't count anymore how many people "Photo-bomb" me when I am in a good location. I would love to know what goes through people's minds when I patiently wait for them to transit out of my images. People think *they* make my picture better. People think they are entitled to stand where ever they want to - and of course they are. People see a *photographer* and want to see what I see. People are aware they are photo-bombing. When people do what they do, I play a game where I point the camera away, or I start taking pictures of them in the scene - and make it obvious. If they like getting their picture taken, I turn away. If they don't like their picture taken, they either move on or give me a "look". If I get the look, I just shrug because they made the choice to be a statue at that precise location. A location they feel is the perfect spot to stand. The psychology of people at locations is an interesting topic. I've decided to start a thread to highlight this trend or observation. Exhibit A. Castlerigg in the Lake District of the UK. This is considered the 'Second Stone Henge' in the UK, and attracts a ton of visitors. It's rare when you can get there when the weather cooperates and there are few people. The image below was taken after I waited over an hour. I waited because, these two walkers saw me, and decided to have lunch on the stones I was setting up to photograph. As in, they saw me, and walked to the stones. It was a misty/rainy/overcast day and there were other places to sit that were off camera. Why they chose those stones when they saw me doing my thing? Photo-bombers. When I started taking their pictures, the woman didn't like it, and hastend her lunch. They finally moved off after an hour. 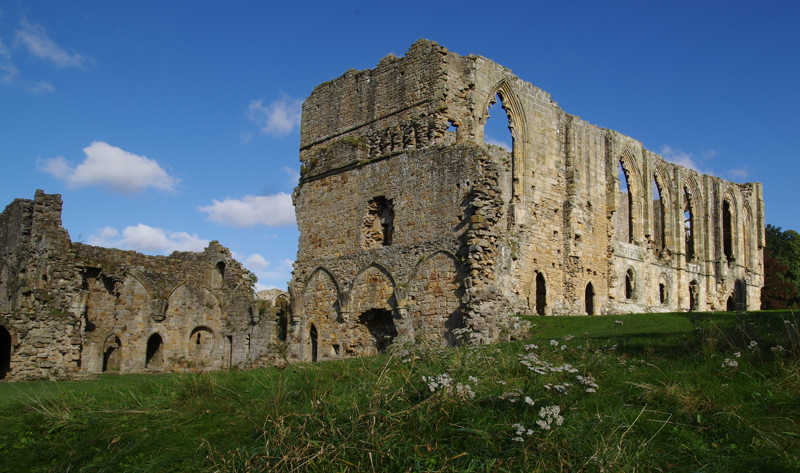 Exhibit B. Easby Abbey in Richmond, UK. Here is another ruined Abbey that has tons of low stones that are perfect to sit on. There is nothing exceptional about the steps that appear in this image. Immediately behind me, is a path, and to get to the Abbey, you have to enter a gate just off camera to the left of this image. As I was setting up for this shot- tripod/slider/microphone -, a couple, who was walking their dog, decided that those steps were the best place to sit for an hour and break out their maps. I was setup. I was ready to go and they saw me. They looked at my gear and made a direct line for those steps. They ignored other low stones that would have made just as good a spot to plan their adventure. Photo-Bombers. Yes. 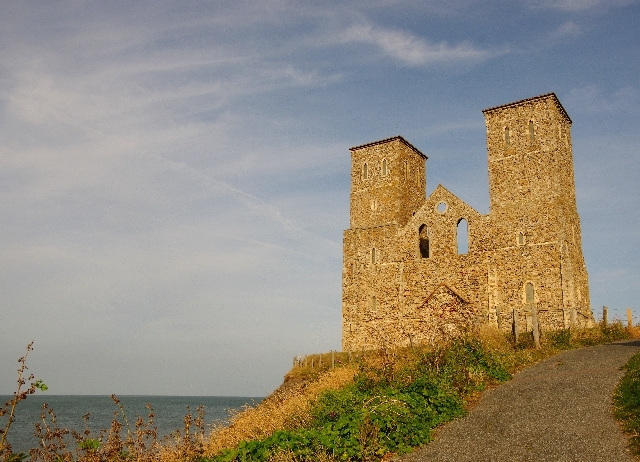 These steps are the perfect place to sit for an hour and map the conquest of England and beyond. As they were talking, the woman kept looking up and over at me. She'd look up, smile and look back down. The man kept turning over the map looking for details or looking for "something". Again, those steps are directly in my shot. There are other places to sit. Are people not aware? There is an air of purpose when these folks did what they did. When someone makes the "mistake", I often get an "Ooops..sorry I'm in your shot". In the case of the folks above, it is deliberate. Any one else with their "Photo-Bomber" story? Today it seems many people like to be rude. They seem to think it is their right to be rude. As a friend of mine always says, "you can not do anything about stupid". Hahaha! I recognise this all to well. Only this weekend my three year old daughter was posing for me with our Dutch version of Santaclaus: "Sinterklaas", and his fellow helpers. While I was in the position to take my shot of this group of 7, somebody actually moves in in front of me to take a shot with his mobile!?! "...Whatever..." I think to myself, and move half a meter over and start to recompose. Then some lady clearly sees me, but decides to walk into my shot anyway, blocking my shot with her (hideous) rear end!! The words I thought then, I cannot place on this friendly forum. I don't get it. I agree with you, it's very frustrating. Just plain stupidity and/or ignorance, I think. To be perfectly honest, I don't think either couple portrayed were being rude at all. Photo bombing would be intentionally making faces because they knew you were taking photos, not just simply existing, acting as they were before you arrived. It's our job as photographers to be respectful to others, especially if they arrived first. There's poking fun at someone from a distance, then there's coming onto a forum to complain about them, and post photos of them(Probably without consent). In regard to Clavius's experience, I'd say those people were being rude, but even then, you've got better photography know-how, it's up to you to recompose the shot if a blumbering group of morons wanders in and ruins it from one angle. I just consider "People" one of the reasons I'll only ever expect 1/30 frames to be great. P.S. : If it really bothers you, do street photography for a week. You'll realize there's many more ways people can ruin your shot. I guess I'm just lucky, I quite like folk in my pictures and have often had to wait for folk to arrive or be in the right place and doing the right thing. Its a good thing that we are all different, it makes for a much more interesting world. As photographers, I think we are aware of other people shooting and we try to accomodate them. People who aren't photographers will just go about their business and do as they please and they have every right to. I have a pretty large collection of photography books and I often find the comments about getting up at the crack of dawn and it isn't always for the early morning light but also because their are no people around. I own ultra wide lenses for the sole purpose of being able to shoot cars and motorcycles at shows without people in the frame. Parks and historical sites are there for the public. That's what pays the bills, even the "free" places. No people means no interest and the places will be closed off and allowed to decay or worse, torn down as tax money won't be spent to maintain the places. One of the most important lessons we must learn is patience. True enough in that I totally get the idea of people being in public spaces. In my examples, above - and many many more - there appear to be people that "pretend" to be naturally in my shots. Somehow they "wander" in and finish when either I move on, or I am not interested in them being in my shot. It's a subtle weird thing. I suppose photographers that *want* people in their shots might be the more common expectation. Again, the behavior of the folks in the shots above changed by my presence taking a photograph. Ever thought of walking over to them and ask them politely if they could just get out of the way for a minute or two, to allow you to take the shot you want? They seem to have the same rights as you to be there, and they don't mind you taking a photograph with them in it, but perhaps they are not interested in photography, and can't read your mind, so a tactful approach might give the best results. This just looks like people going about their own day to me? 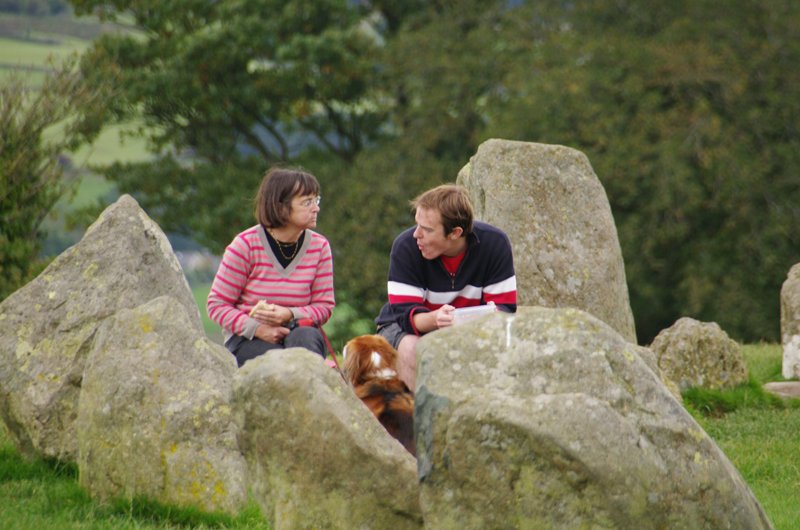 Like the couple having lunch, maybe they went up there with the purpose of having a nice lunch among the stones, not off to the side. But I wasn't there of course and have no way of reading their minds. Did you think of politely approaching either couple and letting them know what you were doing and that you would appreciate it if they would sit outside of your frame? Maybe even offer to take a picture or two of them at this spot with their camera or phone or with your own and email them later? Sometimes upfront honesty and respect is a great way to avoid frustration. Not always of course, but I find most people are pretty accommodating if approached politely. edit- darn my slow typing, but I obviously agree 100% with Christo! LOL. 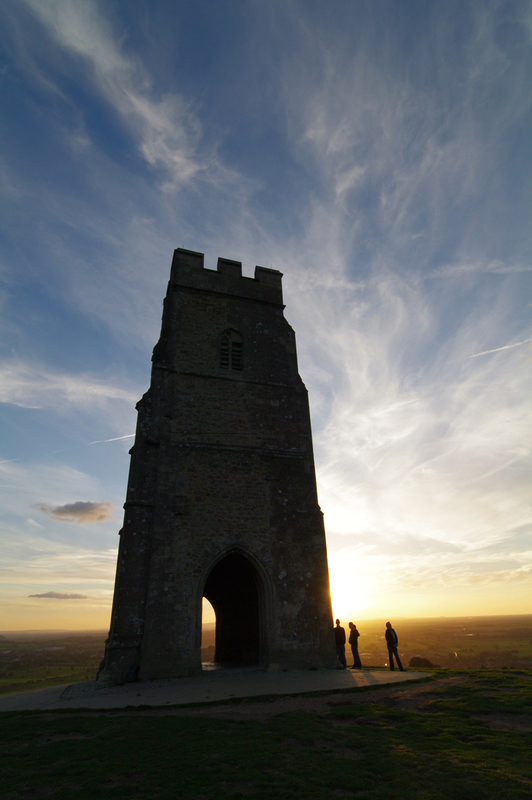 There was a time I was on the top of Glastonbury Tor. Getting a shot of the sun set. There was a guy with a guitar who was playing it. I walked up to him and said " Excuse me Sir, but...." before I could say another word, he said "NO! I will not hold your camera to take your pictures!!!" I then smiled and said "Actually, I was going to offer you a pound to move to the side, if you please." He was bewildered and befuddled. He moved to the side but others, hearing the conversation, decided to get in the shot. Sure, in the above case I just went with it, but I NEVER seem to have luck asking people to accommodate me when I am out taking images. Especially me in the UK. The minute they hear me speak- they will think "Ugly American". In most cases, I think the person who is wandering into the shot is intent on whatever they were doing, and other people just don't matter - if they notice that there are other people involved. Just as we are thinking "they can go away until I get my shot", they are thinking "they can go away until I have my lunch". The degree of inconvenience is irrelevent - if it's not me or my group that's being inconvenienced, then no one is. One of the things I keep telling myself when shooting in public places is "be patient, then be quick". As you can see in the image above, there is a bike/walking path that runs next to the Towers. A young couple, saw me set up, took a long look at my gear, and then went up to the spot below. 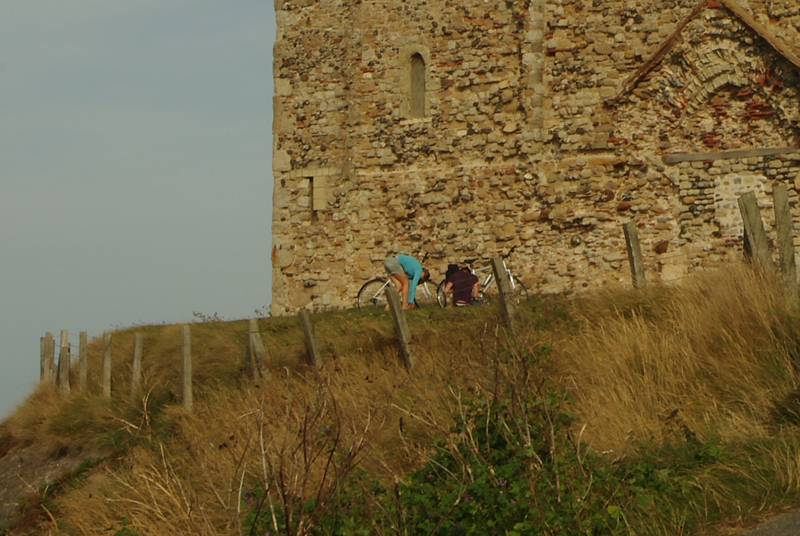 They looked over their bikes, laid down, made out/snogged, and "pretended" I was not there. About an hour later they got up and left, but only when I started to "pretend" to put my gear away. Actually, from the sounds of it, it looks like a British cultural thing to do. I'm in Japan where people immediately apologize when they realize they were in someone's picture; it's just in their culture to be aware of others and respectful. Edit: I wanted to add that I was taking pictures in a famous bridge in New York this year, and people at least tried to get out of the way of people's pictures. So I feel that even in America, the usual custom is to let people take their pictures. Post Edit: I just remembered: France is highly sensitive to street photography and their privacy. They were pretty violent against people having cameras in their presence. So perhaps it's a European privacy culture you're experiencing. lol, but Lauren, you took some nice shots, you turned those photobombs into subjects. The worst is when you take a photo and way later, during processing, find a person somewhere in there. Lived "there and there", in two locations in France and also throughout Europe - about fifteen years total. As for the general thing about people in France being sensetive to street photography. No - a bit too general. It really depends upon what city, what neighborhood in what city, etc.. That would almost be like stating people in the south (america) always like grits. All times are GMT -7. The time now is 05:42 PM. | See also: NikonForums.com, CanonForums.com part of our network of photo forums!